Old Dalby remained in the Division M promotion frame thanks to back-to-back victories over Newark R and M.
Newark won the toss and batted first on a very hot afternoon. 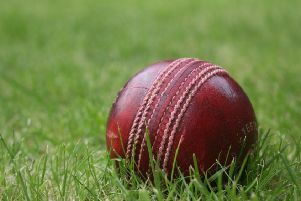 The hosts fielded two new openers to those who had played the previous week at Old Dalby, and it looked like their main aim was to remain in for the 45 overs. The runs were very slow in coming and with 13 overs gone there were only 31 runs on the board, but they proved very difficult to dismiss and after 45 overs Newark finished on 142-3. After the break Dalby set about chasing down the target and thanks to Ben Wass (61 not out) and Rob Herrick (26) the target was reached in 24 overs for the loss of four wickets. This was not as comprehensive as the previous week, but Dalby remain in second place with five games remaining.